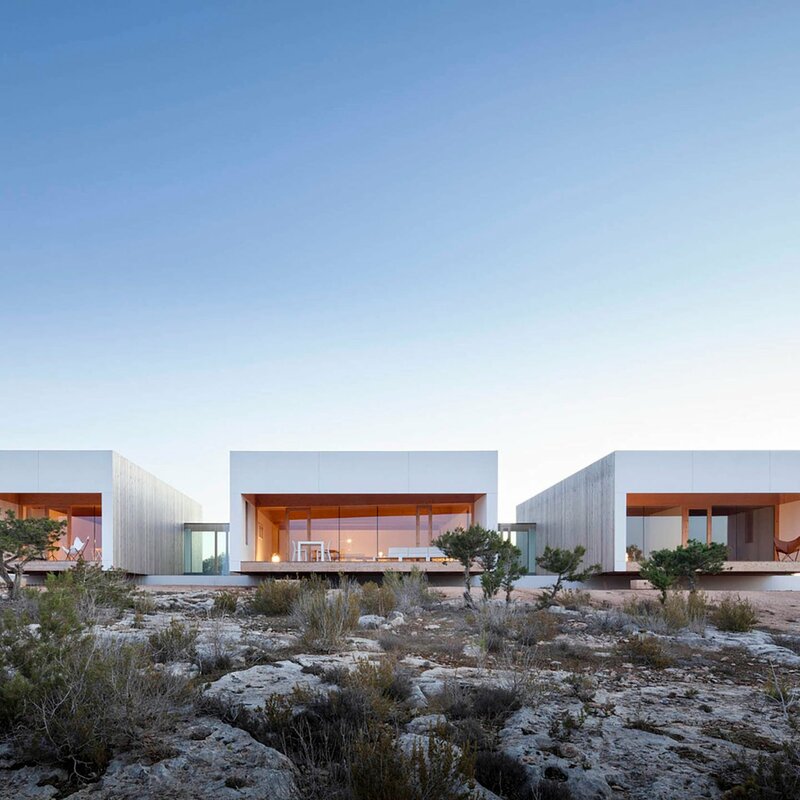 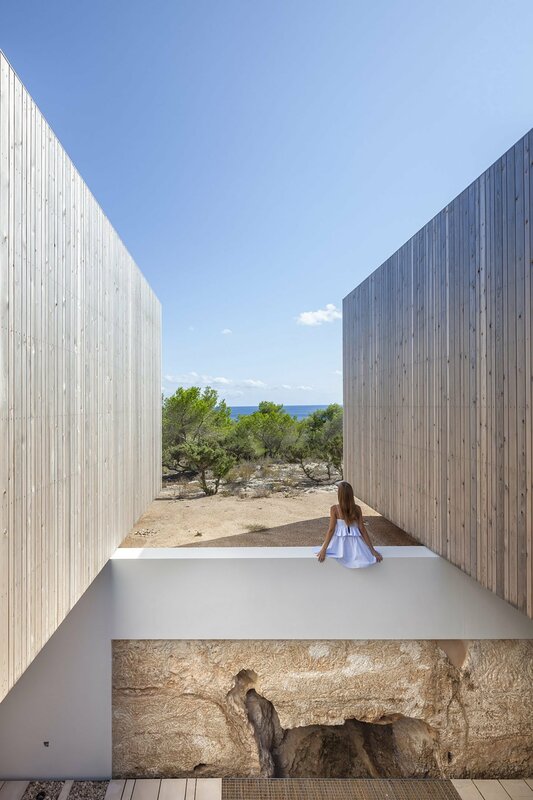 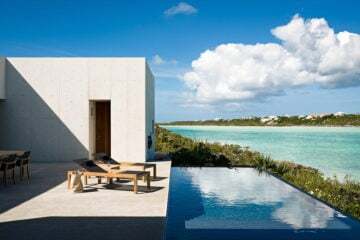 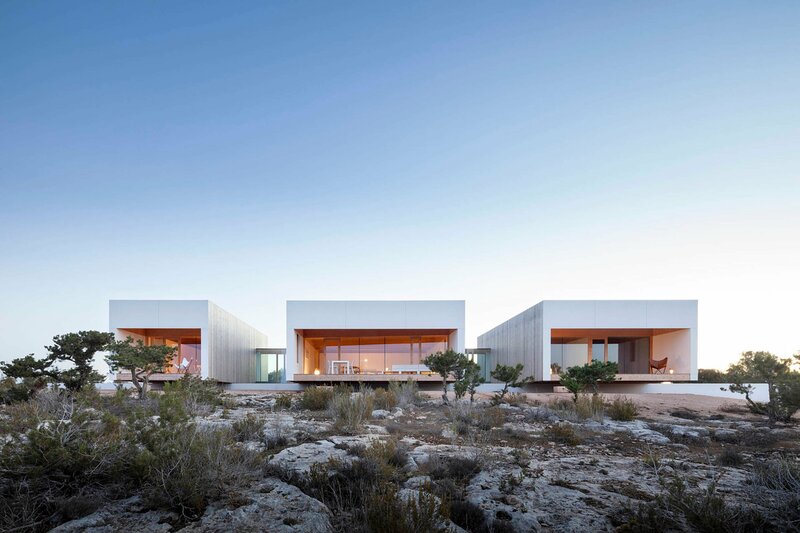 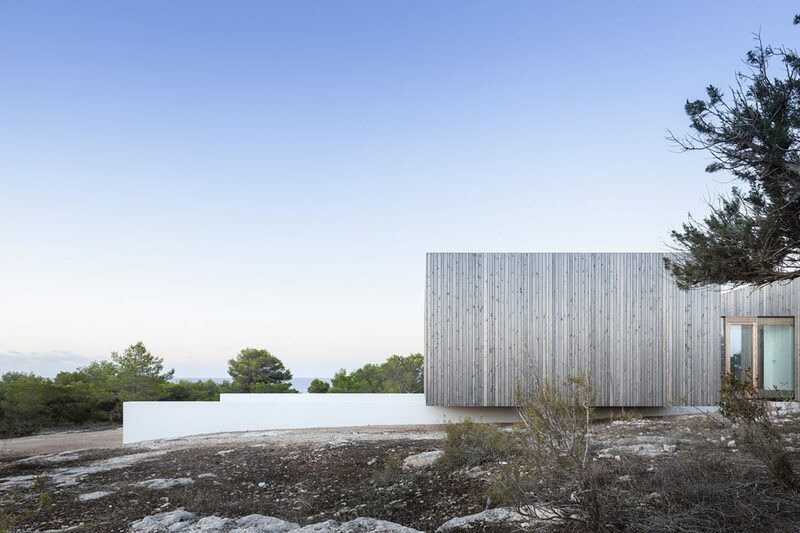 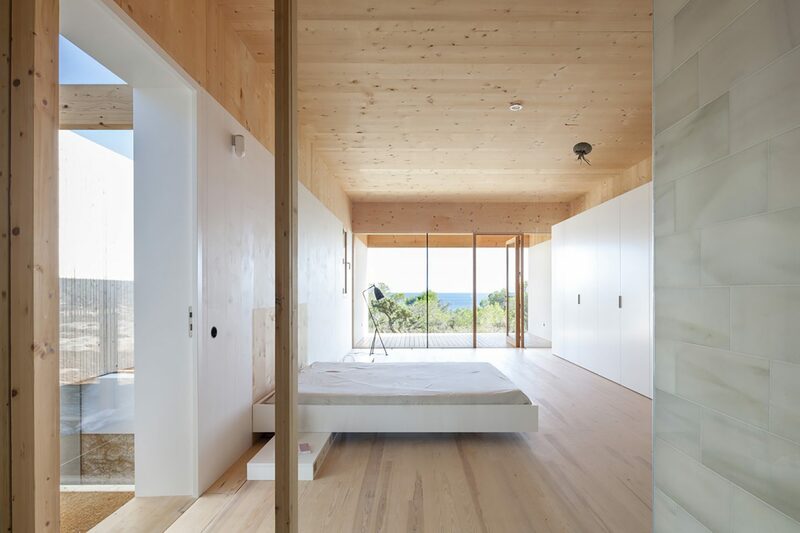 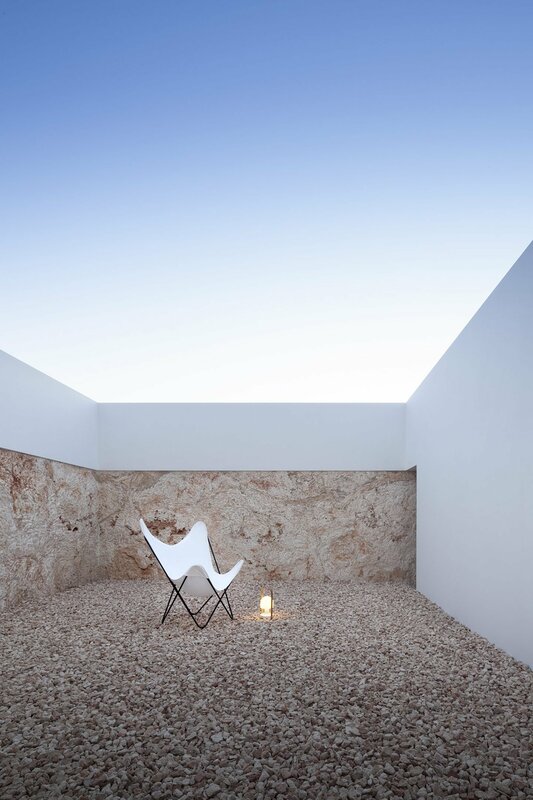 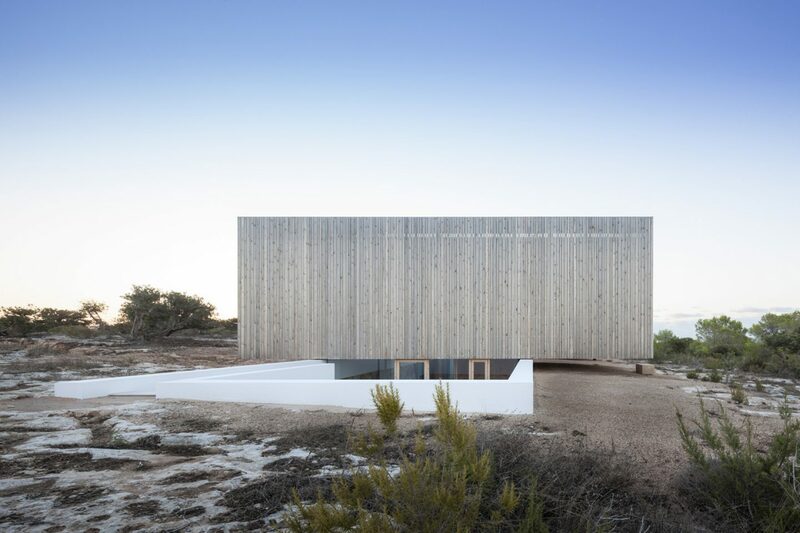 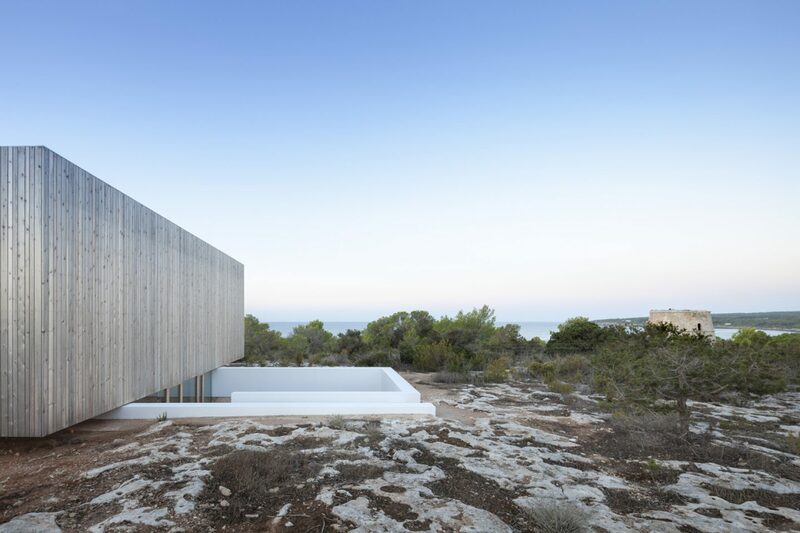 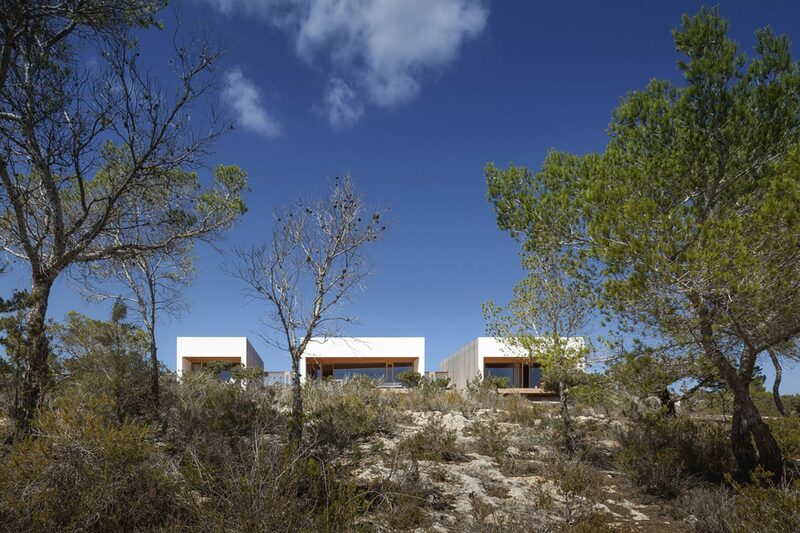 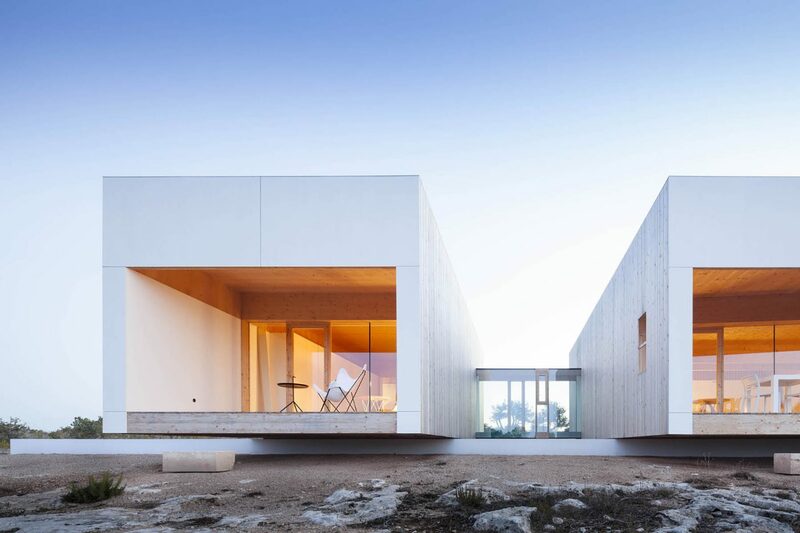 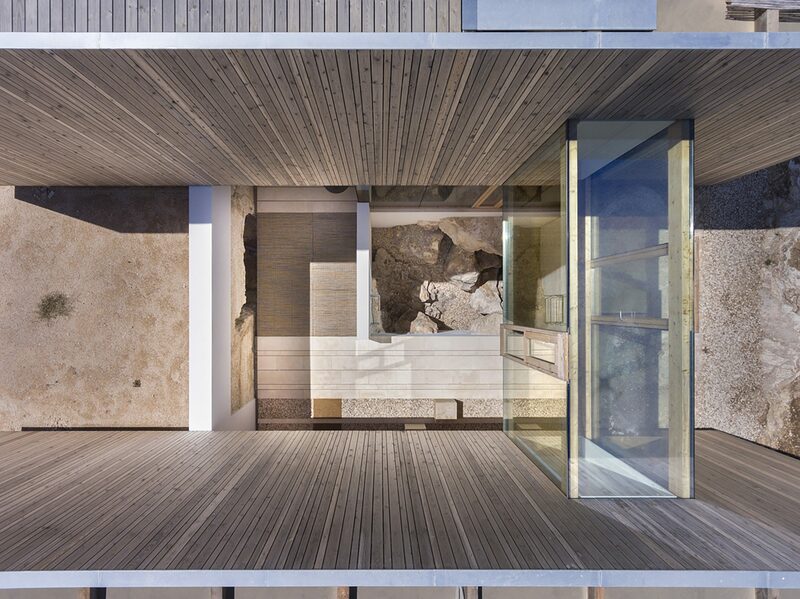 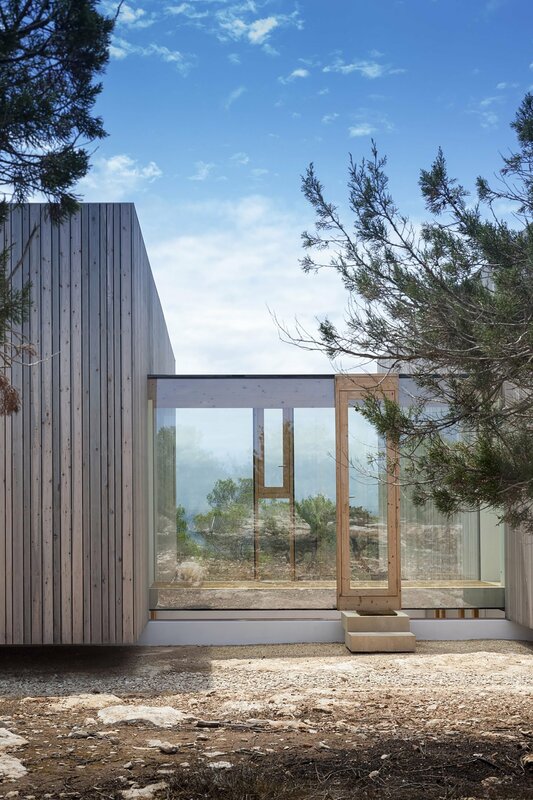 On Formentera, the southernmost Balearic island, Marià Castelló has designed a family home that draws on oppositions: telluric and tectonic, heavy and light, land and ocean. 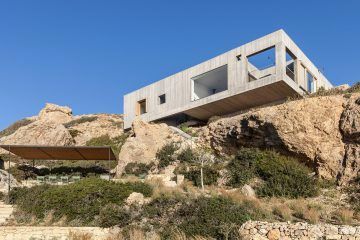 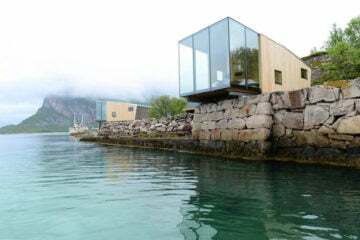 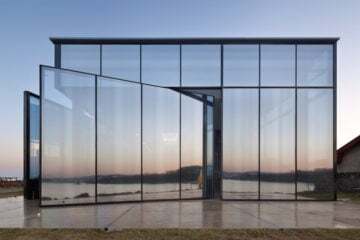 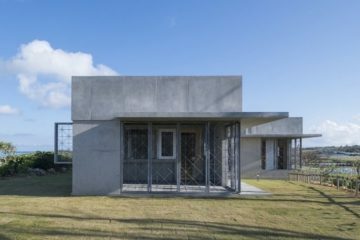 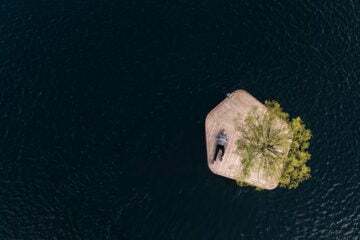 The home has been built into the rocky landscape of the island: the land carved as if it were a sculpture, with materials from the excavation then used in the construction of the home. 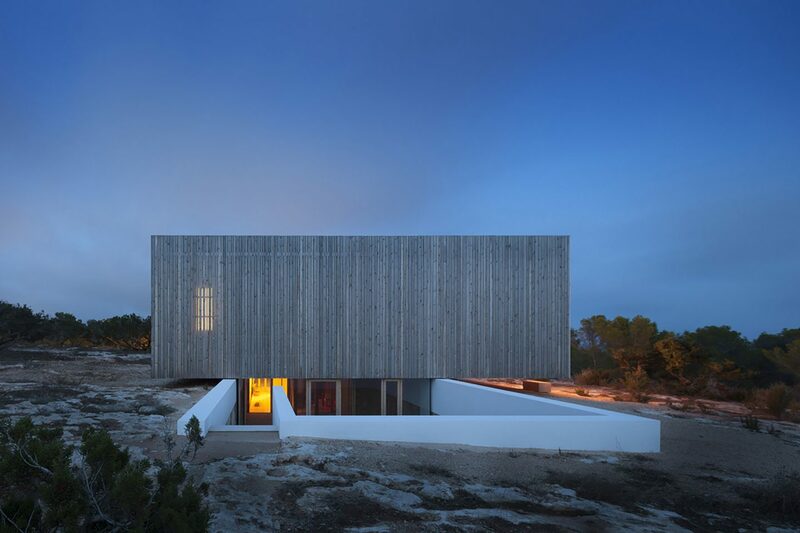 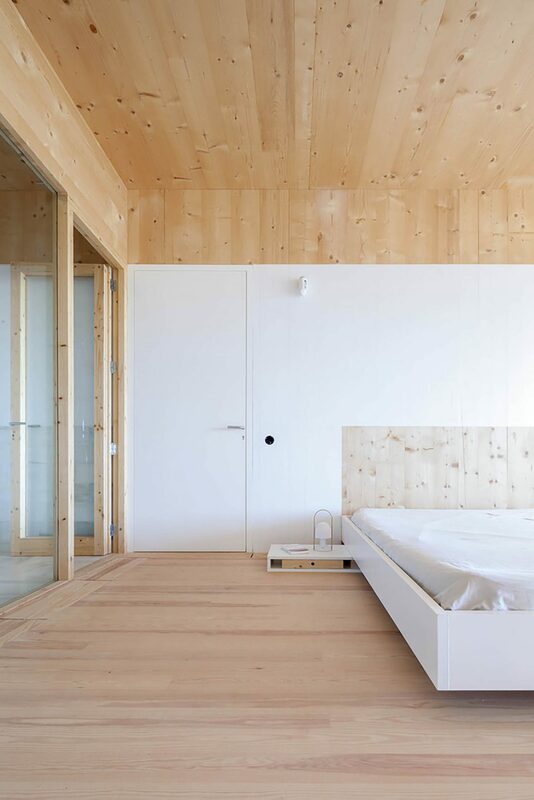 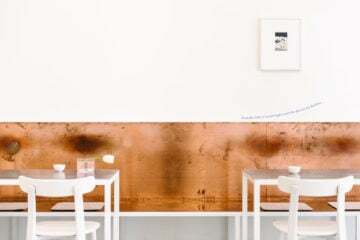 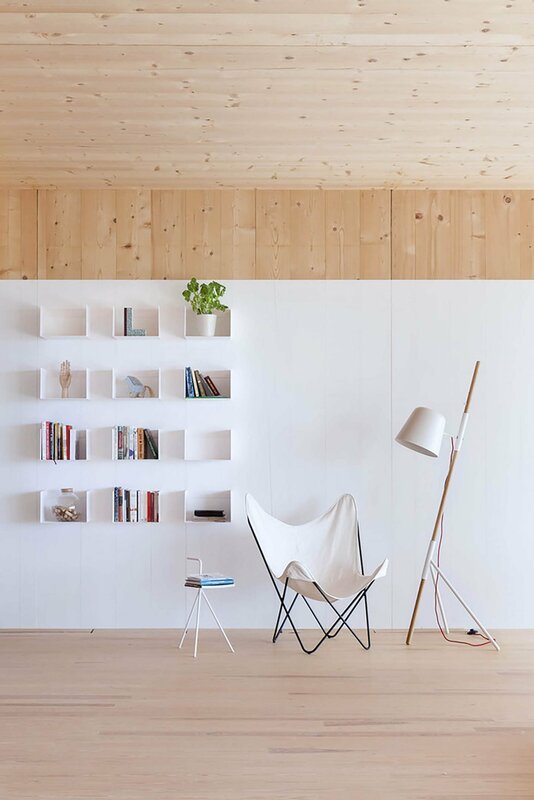 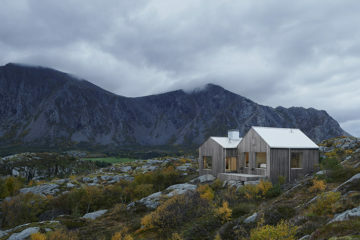 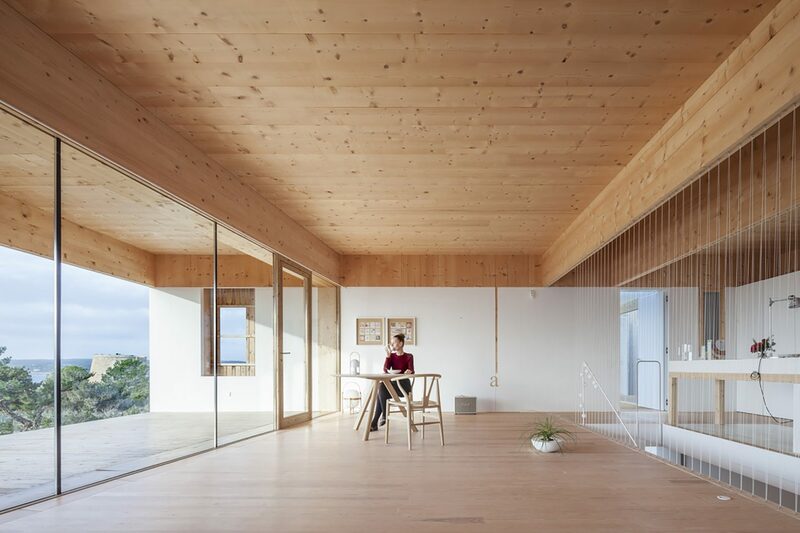 In construction, preference was given to local and natural materials: crushed gravel, Capri limestone, pine and fir wood, and recycled cotton panels. 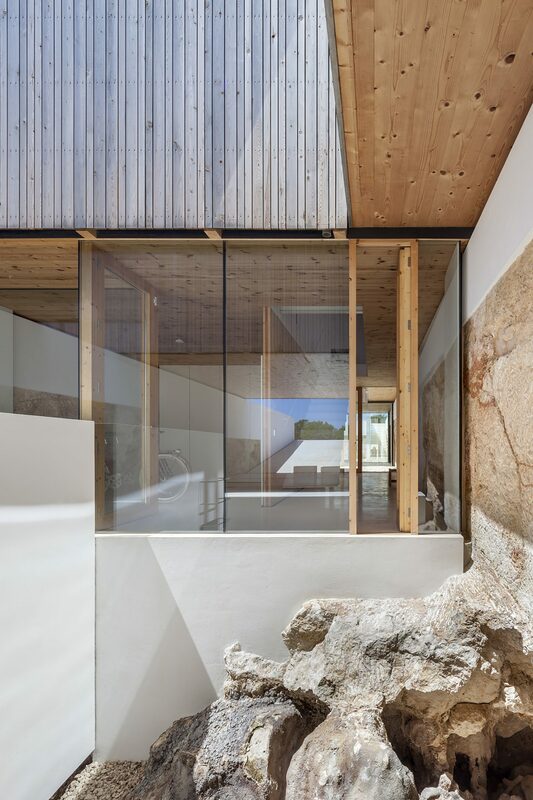 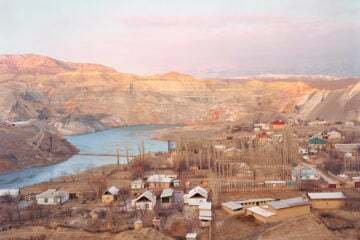 Determined to conserve the environment through both the form and function of the home, large rainwater tanks gather water for the property and when a cave was discovered during construction the design was reconfigured to accommodate it. 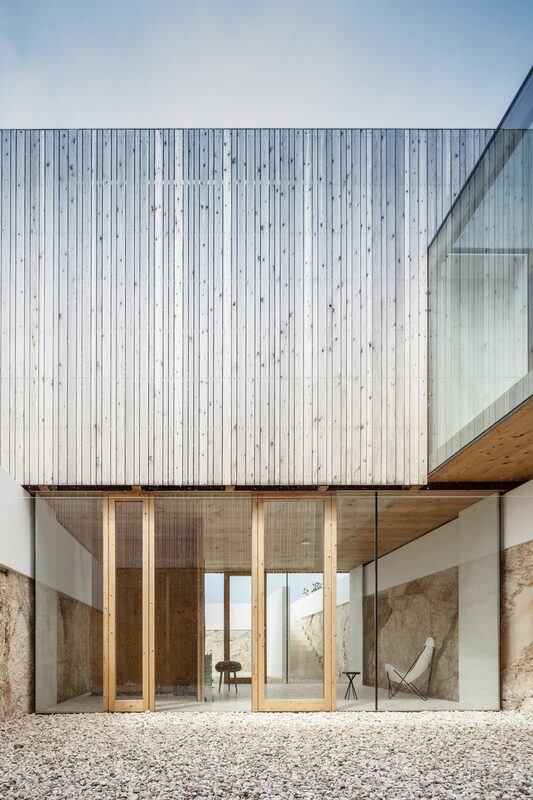 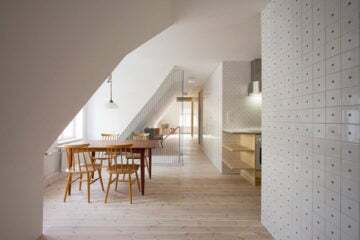 The strata of the landscape is also evident on the lower floors, where the walls are made from roughly hewn stone that was cut away to allow the house cool spaces below the ground. 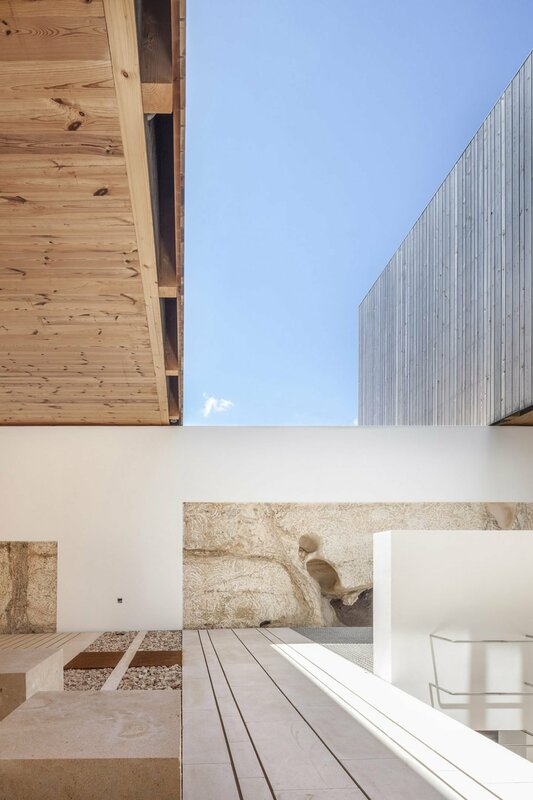 This subterranean level links the three above-ground volumes; between which there are patios, connecting walkways, and a courtyard which features the surprise-cave. 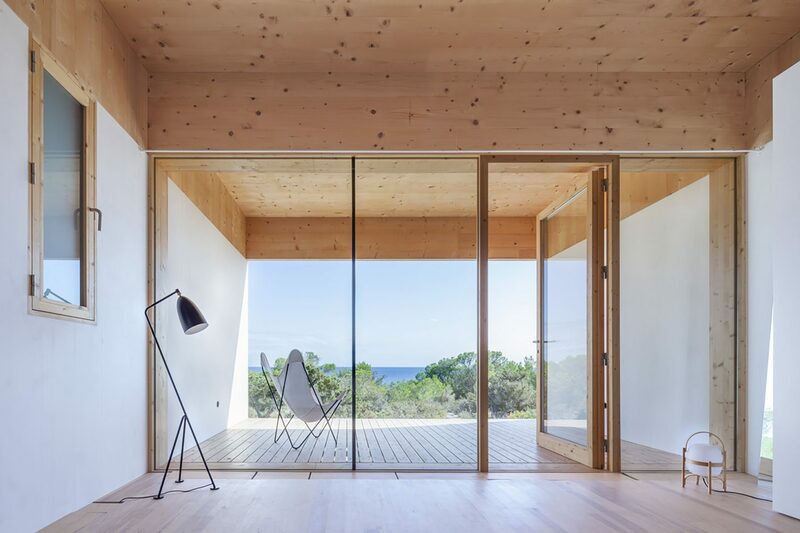 Upstairs, the living areas are airy and bright, with windows that offer sweeping views of the Balearic Sea beyond.